- Material: metal aluminum+Genuine Leather. - There are 2 part for this case . 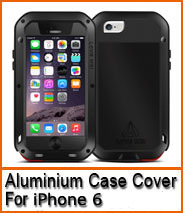 - It's minimalist appearance,The case is CNC machined from a solid block of aircraft grade aluminum. - With Genuine Leather paste skin back cover.